As you know I have a bit of a thing for lipstick and over the last few months I have tried goodness knows how many of the liquid lipsticks that are on offer from countless brands but haven't liked any of them enough to shout about. 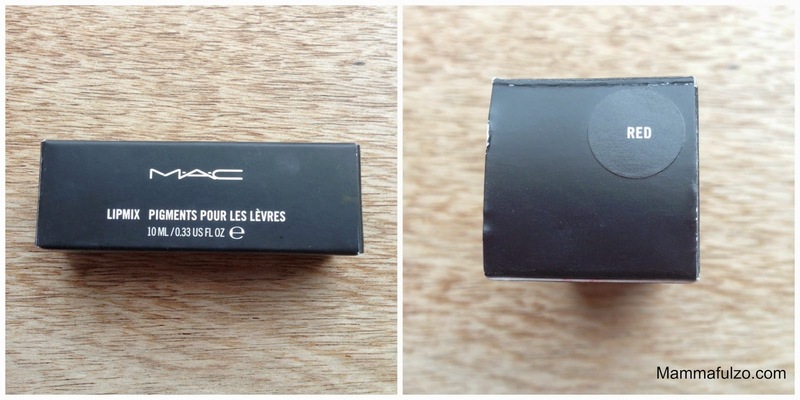 A few years ago (2010) MAC brought out their Kissable Lip Colours as part of they Peacocky collection and I loved them and still do, they are the only liquid lipstick or lipstick/lipgloss hybrid I have used and loved and still do. But also from MAC is another product that doesn't seem to get any love in the blogging and you tube world and that product is the MAC Lipmix. 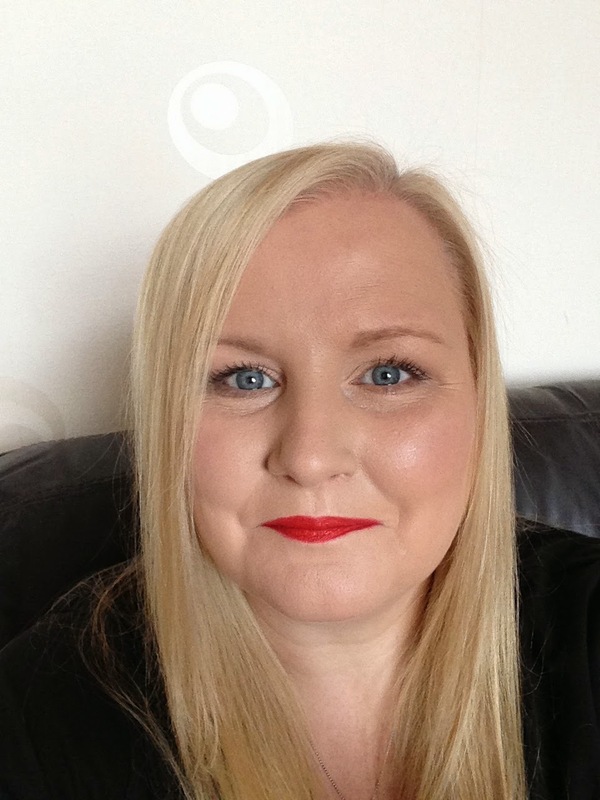 Today I want to talk to you about the MAC Lipmix in Red, it is my favourite Red lip product and one that I always receive countless compliments on both on my you tube videos and in general when I'm wearing it. 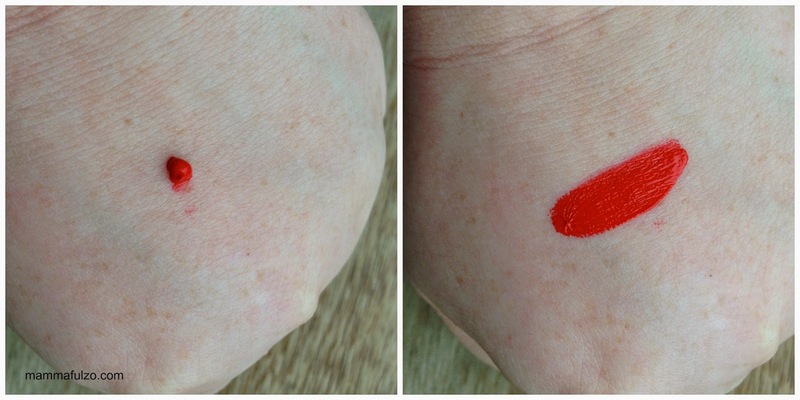 The lipmix in Red is an amazing bright Red colour with a very subtle orange undertone, it is the most beautiful Red lip product I have and I love it. It has been my go to red lip colour for the past few weeks now and it really is an amazing product, and one I had to tell you about. I apply the lipmix with a brush using the amount shown in the photograph above on the left, it isn't too messy to apply although you do need to be careful. I don't need a lip liner with this as it doesn't budge, no feathering or bad bleeding at all which is something I have found with drug store liquid lipsticks, yes Bourjois Rouge Velvet, I mean you! The lipmix stays in place for hours and hours without re touching, I can apply it in the morning and chat away all day and drink my Pepsi max and it's still as lovely hours later. The lip mixes aren't sold as liquid lipsticks they are sold as an opaque cream product which can be mixed to create a customised lip colour. They come in 12 different colours and retail at £14.50 each. I don't think its a bad price considering the amount you need to use and it looks beautiful. The lipmix is easy to apply and like I said I use a brush and would recommend applying it that way, it doesn't budge or bleed and lasts for hours, it dries to a kind of matte finish but doesn't feel dry at all, I am completely in love and although I am lucky enough to get discount on MAC products because my lovely daughter is a make up artist, I would pay full price for these in a heartbeat. The lip mixes are a pro product, meaning they cannot be bought at a MAC counter but you can buy them at a MAC pro store and on line on the MAC website and I would highly recommend you try them, you won't regret it. I am going to get some more colours in the lip mixes either for Christmas or before, once I have them I am going to film a video for my You Tube channel all about them and I'm going to mix some colours and apply them to show what great colours you can make and how easy they are to apply, I will also show them on their own before I have mixed them. I am so impressed that once I have my other colours unless another lip product really catches my eye, I will just make up my own colours with the lip mixes. 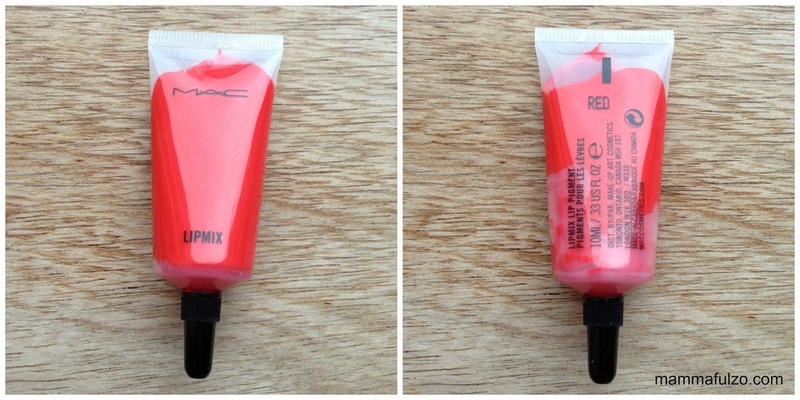 If you'd like to try the MAC lip mix in Red or any of the other colours, you can find them here for £14.50 each. Have you tried the lip mixes?